Undercuts Audi Q5, BMW X3, Jaguar F-Pace. Alfa Romeo has surprised premium SUV buyers by revealing some very competitive prices for its new Stelvio mid-size SUV – starting from £33,990. This undercuts the Audi Q5, BMW X3 and the Jaguar F-Pace, which should ensure plenty of interest when the first Stelvios arrive in UK dealers from September. 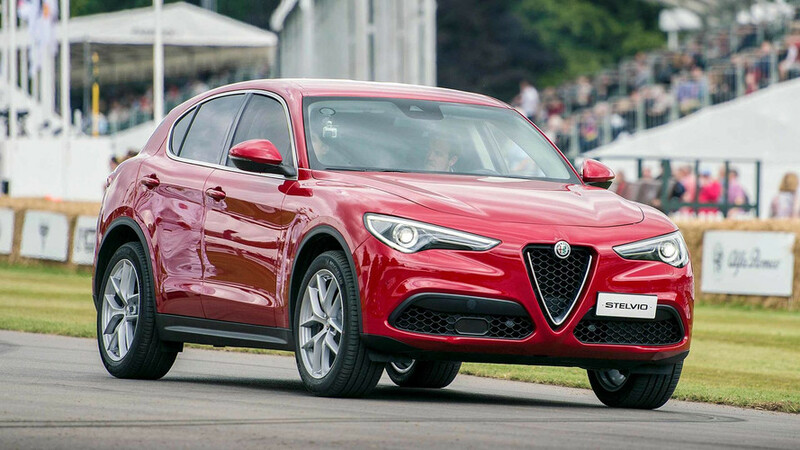 A very important car for Alfa Romeo UK, the new Stelvio is being offered in four trim lines: standard, Super, Speciale and a launch-special Milano Edizione. Those who want to take up that headline-grabbing price with a base Stelvio may well have a price to pay, though: an SUV lacking sat nav, 18-inch alloys and part-leather seats. That haul is standard from Super trim and up, along with TFT digital instrument cluster and a leather-covered dashboard. Move up to Speciale and Alfa adds 19-inch alloys, red brake calipers, bi-Xenon headlights, heated full leather seats and aluminium gearshift paddles (all UK Stelvios have an eight-speed automatic as standard). The exotic-sounding Milano Edizione includes 20-inch alloys, 10-speaker 'Sound Theatre', rear privacy glass and electric leather seats. Why Milano? Because between 1910 and 1960, the Alfa Romeo badge carried that exact word. 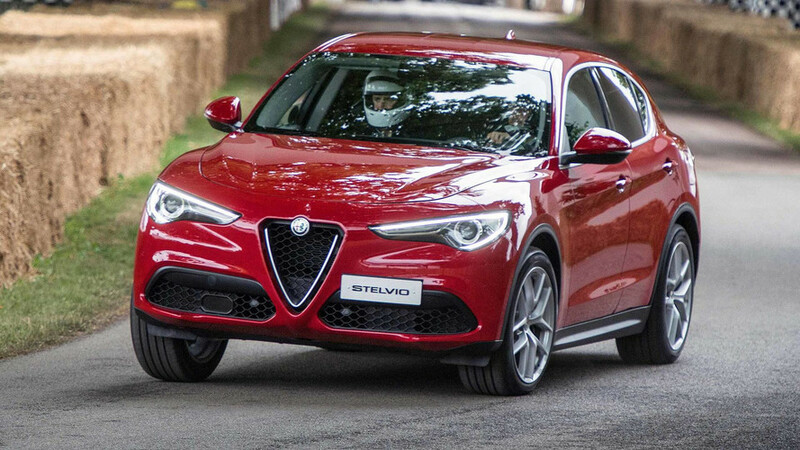 The cheapest Stelvio comes with a 180-horsepower 2.2-litre diesel engine and rear-wheel drive; even the 200hp 2.0-litre turbo petrol all-wheel drive costs less than £35,000. Super prices start from £36,190, for a 180hp 2.2-litre rear-wheel drive diesel, while the posh Milano Edizione costs from £43,990. Alfa does add that those entry-level models won't be available from launch – if you want to be an early Brit Stelvio owner, choose from either the 210hp 2.2-litre turbodiesel Q4 or the 280hp 2.0-litre turbo petrol Q4.